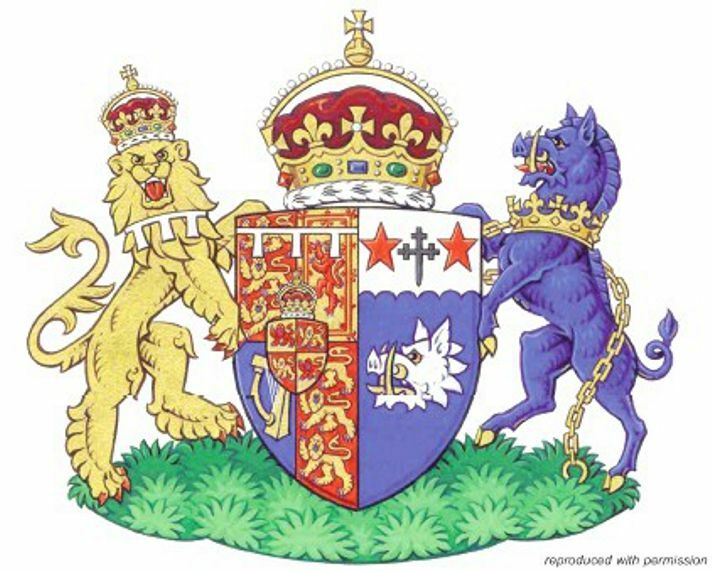 The Duchess of Cornwall has been granted armorial bearings which reflect her position as consort to The Prince of Wales. The arms follow ample precedent in marshalling elements from the achievement of The Prince of Wales to the dexter and those relating to his wife’s family to the sinister. The shield is ensigned by the single arched coronet and supported by the dexter supporter of the Heir Apparent. 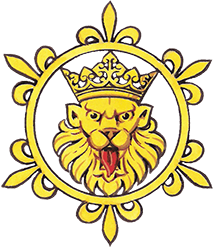 The arms to the sinister are derived from the arms recorded for Major Bruce Shand, the Duchess’s father, except that a minor difference appears to have been made in the shield’s principal charge, the boar’s head depicted as erased rather than couped. Major Shand’s crest is ‘a boar statant Azure armed and langued Gules his dexter forefoot resting on a mullet Gules’ and the blue boar gorged with a royal coronet and chained appears as the sinister supporter.